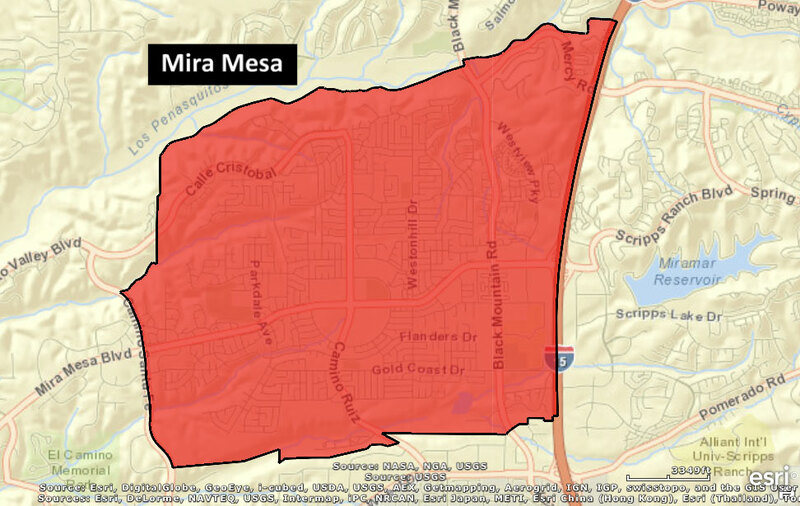 Mira Mesa is a community in San Diego bordered by Interstate 15, Interstate 805, Los Peñasquitos Canyon, and Marine Corps Air Station Miramar. Mira Mesa is a thriving business center and a residential community with 12 parks and lots of shopping and restaurants. If you live in Mira Mesa and you would like a free quote on a bathroom remodel, give us a call today!